Inflammation is an immune system reaction to protect the body against external aggression and foreign bodies. 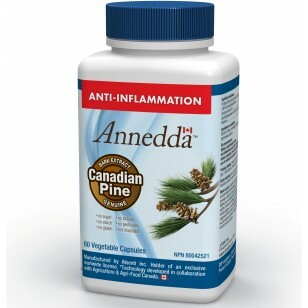 We have all felt the pain associated with localized acute inflammation. For example, this is what happens when the body reacts to sunburn, a bacterial infection or ulceration. Your body heats up because the immune system raises your temperature in order to fight against the aggressor and to speed up the repair process. However, so-called low grade inflammation is less well known. It is not as localized as acute inflammation and tends to be chronic. Even though it is more discreet than the acute version, we are able to identify subtle physiological markers that indicate the presence of low grade inflammation, particularly in heart disease, metabolic syndrome (pre-diabetes), diabetes, Alzheimer’s disease, different forms of arthritis, osteoporosis and even some cancers.1 These markers are present in the blood and can be easily identified. Researchers have found that there is also high oxidative activity and a significant increase in free radicals in inflamed tissue during the inflammation process. In fact, inflammation and oxidation both play a role in causing several chronic diseases and accelerating the aging process. The secret to healthy aging therefore lies in keeping inflammation and oxidation3 in check. 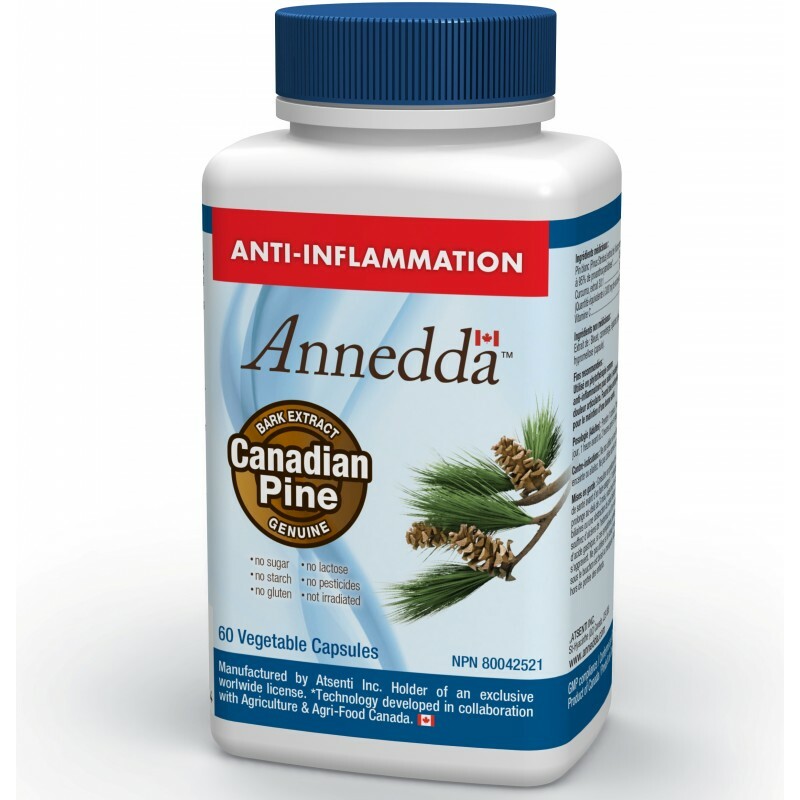 The two main ingredients that make up Annedda ANTI-INFLAMMATION® work together to help counter inflammation and oxidation. Turmeric is a spice from India and has remarkable anti-inflammatory properties. Clinical trials have shown that the curcumin in turmeric is more effective than ibuprofen at relieving pain associated with acute inflammation4 as well countering the low grade inflammation related to chronic diseases such as ulcerative colitis, irritable bowel syndrome and Crohn’s disease.5 We have also added black pepper extract because the piperine it contains helps the body absorb more of the anti-inflammatory curcumin.6 The technologies used by major producers of turmeric extract eliminate almost all aromatic constituents (essential oils). This means that the turmeric extracts generally available to consumers are incomplete. We go to great lengths to ensure the essential oil missing from commercial products is added to our product so that you are benefiting from the complete extract. You will notice the difference as soon as you open our product and smell its characteristic aroma. Extract of: blueberry, cranberry, rosehip, piperine, hypromellose (vegetable capsule). Consult a health care practitioner before use if: you have gallstones or bile duct obstruction; you suffer from stomach ulcers or excess stomach acid; your symptoms persist or worsen; use extends beyond 3 months. Keep out of reach of children. Do not use if the safety seal under the cap is broken or missing. You will quickly find that Annedda ANTI-INFLAMMATIONTM can significantly alleviate pain associated with inflammation so you can go back to enjoying a healthy life. You will feel an improvement from the first weeks and progress will continue if you continue the treatment. While feeling better, we strongly recommend taking up some form of good physical activity, because experts increasingly agree that regular physical exercise contributes dramatically to countering the adverse effects of physiological oxidation.8 Take it steadily, but move and work your joints without putting them under undue strain. This will help your body to regain its full extent of movement, you will strengthen your joints and improve blood circulation, and you will have increased overall energy, further decreasing your risk of disease. In short, move around sensibly and daily. You should also take the opportunity to get outside every day, even in winter, especially when it is sunny. It only takes about 20 minutes of exposure to the sun, even if just the face and hands, for your skin to produce enough Vitamin D3 to help counter low grade inflammation. To sustain your body and to help prevent low grade inflammation from reappearing, choose what to eat carefully. Limit sugar intake and avoid foods that are too rich in carbohydrates, as well as fried and roasted foods. In addition to contributing to weight gain, these foods promote the accumulation of glycotoxins, which are behind a variety of chronic degenerative diseases. Eat plenty of green vegetables (especially dark green ones), colourful berries, nuts (walnuts, hazelnuts, almonds, etc.) and fish because these foods contribute to healthy blood microvessels. As for cereals (wheat, rice, corn, etc), pulses (beans, peas, lentils, etc.) and other carbohydrates such as root vegetables (potatoes, carrots, turnips, etc. ), limit your intake to about one half-cup portion per meal to avoid raising blood sugar levels, which in turn leads to glycotoxin formation. Nutr Metab Cardiovasc Dis. 2004 Oct;14(5):228-32. N Engl J Med. 2004 Dec 16;351(25):2599-610. 2 Curr Opin Rheumat 2010;22(5):512-9. J Rheumatol 1998 Nov;25(11):2181– 6. Osteoarthr Cart 2005 Jan;13(1):20 –7. 3 Free Radic Biol Med. 2013 Jul 10;65C:380-401. J Neurol Clin. 1998 Aug;16(3):747-55. 4 J Altern Complement Med. 2009 Aug;15(8):891-7. Indian J Med Res. 1980 Apr;71:632-4. 5 J Altern Complement Med. 2004 Dec;10(6):1015-8. 6 Cancer Epidemiol Biomarkers Prev. 2008 Jun;17(6):1411-7. 7 Int Immunopharmacol. 2009 Sep;9(10):1145-9. 8 Free Radic Biol Med. 2013 Jul 10;65C:380-401.